Bar High Five owner, Hidetsugo Ueno. Credit: InShaker. To say that Bar High Five comes highly recommended is a whopper of an understatement. 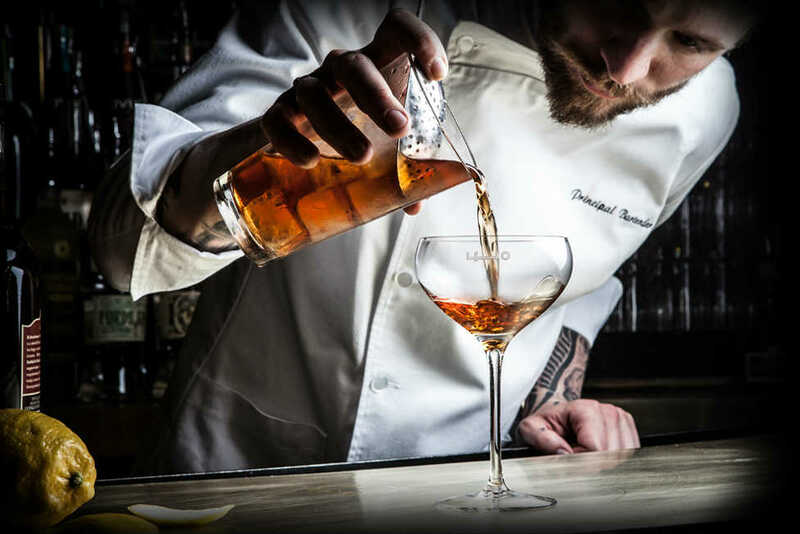 The Tokyo cocktail den has become a permanent fixture on international best-of lists, and achieved household name-status among bartenders the world over. So on a recent trip to Japan, my two brothers and I decided to cap our two-week tour off with a visit to the hallowed watering hole. 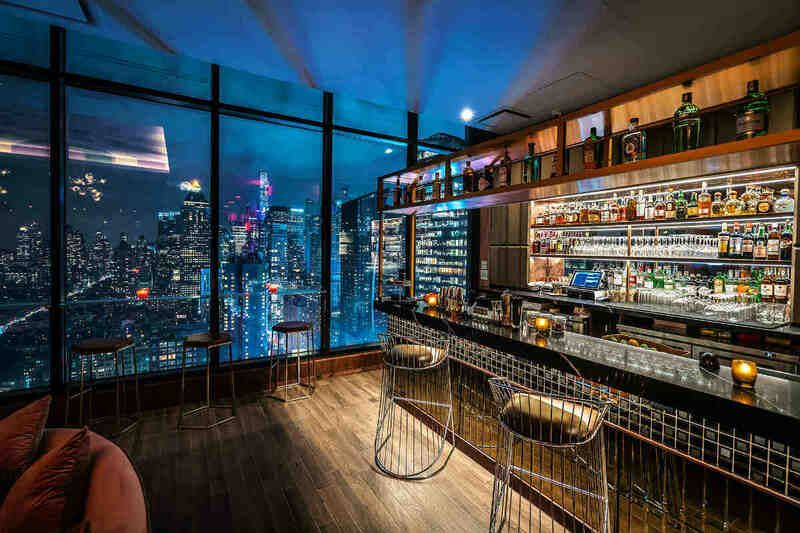 The bar, located in the basement of an office building in the swanky Ginza district, had recently moved from its original fourth floor location to slightly larger basement digs. We had planned to get there just before its 5pm opening time to avoid the Friday rush, but arrived at half past five. In typical Tokyo fashion, the building did nothing to announce the presence of its famous bar. We simply walked through its door and braced ourselves for the line… which did not exist. To our surprise, we found the bar almost empty. The small room, dominated by a long, handsomely carved wooden bar and the hundreds of spirits meticulously stacked behind it, held just a handful of souls. A few Westerners were sitting at a table in the rear, and the long bar was occupied only by the bartender and a single patron. Classic jazz played from the bar’s sound system. We took our seats next to the bar patron, who turned out to be a Russian on his second drink. He was concluding a solo trip through Japan, and had made High Five one of his must-visit destinations. I asked him what he was drinking: it was a Manhattan-inspired drink made with Japanese whisky and a matcha liqueur. It was a deep, emerald green. The bartender approached us. He was an older, broad-chested man with graying hair and eyeglasses. The white of his dress shirt contrasted with his matching tie and suspenders, both of which were deep red with white polkadots. This was Hidetsugu Ueno, the bar’s legendary owner, master of the Japanese hard shake, and ice carver extraordinaire. High Five had no menu. Rather, Ueno instructed us to tell him what kind of spirits or ingredients we prefer. I went first and asked to have what the Russian was drinking. Ueno laid the ingredients out at the bar, elaborating on each as he made the drink. The matcha liqueur was from a Japanese maker, Dover Distilleries. The whisky he used was Fuji-Sanroku, a 100 proof single malt made by Kirin and not sold outside of Japan. He stirred the components together over huge blocks of hand-carved ice, and served it up in a Martini glass. The two-ingredient concoction was instantly one of the best drinks I’d ever had. The liqueur possessed the signature flavor of matcha, and even its chalky texture. We were familiar with the whisky, having bought and consumed a bottle earlier in our trip, and its strong, sweet character was a perfect match for the drink. Ueno’s attention lingered after our drinks were served. We told him about some of the other bars we’d explored in the city, including Bar Cocktail Book, and our visit to the Yamazaki Distillery. He listened with interest, and told us a bit about his own background, revealing to our surprise that he’s not a drinker. Feeling inspired by the hue of my finished drink, I asked for something with Green Chartreuse. This drink, whose name was unrecorded, was once again made with Fuji-Sanroku, alongside lemon juice, shiso liqueur, and the Green Chartreuse. It was another fantastic drink, made even more alluring by the shiso liqueur I knew I wouldn’t be seeing on U.S. shores anytime soon. For my third go, I requested an original creation that Bar High Five was known for. His answer was The Japanese Garden, made with Fuji-Sanroku, Midori, Hermes green tea liqueur, and several hearty bar spoons of housemade green tea bitters. 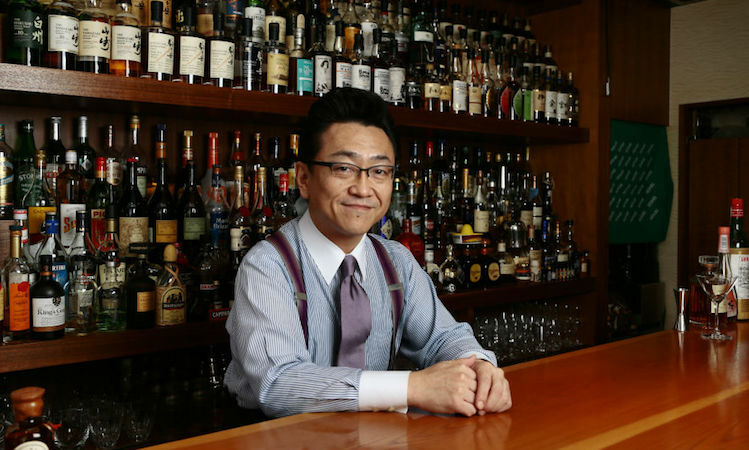 Though hours had passed and the bar had filled up, Ueno continued to chat with us as if we were the bar’s sole patrons. He also demonstrated his unique talent for opening bottles with knives. My brother, as if acting on a dare, challenged him to make a drink using the shiso liqueur, egg whites, and gin. Ueno promptly made a fantastic drink incorporating all three. Inspired by my brother’s order, I requested gin and egg white for my final drink. This drink, whose name is lost to history, also contained grapefruit juice, lime juice, and the omnipresent green tea liqueur. 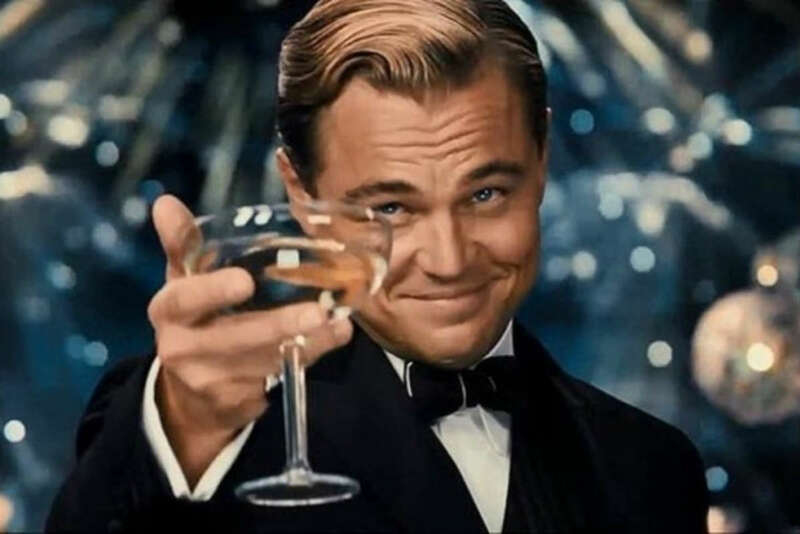 As I lingered over this final libation, my boozy mind took stock of Bar High Five. The trip had taken me to some marvelous bars that put Japan’s perfectionist method of bartending on full display. But I had drunk Negronis and Martinis at those bars. The ice may have been meticulously hand-carved, but the drinks weren’t Japanese. What I had just experienced at Bar High Five was different. Matcha, shiso: these were ingredients from far outside the world of Jerry Thomas. For the first time in Japan, I was experiencing truly Japanese cocktails. That realization was bittersweet, as I knew I wouldn’t be finding this stuff at my corner liquor store. I expressed this regret to Ueno, who immediately drew up a solution. He gave us detailed directions to a nearby liquor store where the matcha liqueur could be found, as well as the Fuji-Sanroku and other whiskies. For good measure, he also gave us the address of his favorite sushi spot. So we left Bar High Five, veins coursing with 100-proof whisky and matcha liqueur, seeking more of the same. I had no regrets, other than that our Russian friend was still at the bar, outpacing us all.